Yes, it’s that day again when things are meant to go a bit wrong. So far so good for the folks on TechRadar; the worst thing that has happened to me was my iPod decided to play three Radiohead songs in a row, when it was on random. Spooky. 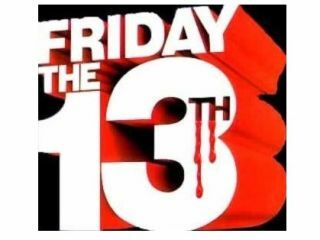 The belief that Friday 13th is an unlucky day was debunked yesterday, by the Dutch Centre for Insurance Statistics (CVS). In the report, they found that there fewer accidents and reports of fire and theft occurring on this oh-so superstitious day than on other Fridays in the year. In other Friday 13th news, staff at London’s Space Museum have gone on strike today over the imposition of a below inflation pay. Which is extremely unlucky for those who wanted to visit the museum today. Right back at you Dutch Centre for Insurance Statistics.